Occasionally, a video game will come along that is not only a blast in its own time, but holds that appeal for the next generation of gamer. One perfect example of that is Naughty Dog's Crash Bandicoot which released on the this day, Sept 3, 1996, for the Sony PlayStation. Crash Bandicoot was put in a situation that was very reminiscent of Mario's (presumed) plight in Super Mario Bros. His girlfriend, Tawna, was kidnapped by the evil Dr. Cortex, who turned out to be his creator. Very Nietzche. Either way, Crash must navigate three different islands in his first adventure to save his love interest. Crash's ability to jump on his enemies were very similar to most platforming games of that period, but the colorful presentation and character design made this game just feel a little different. Plus, Crash himself was a marketing win. Sony used the character's Aussie brashness to go after Nintendo in various commercials, touting the PlayStation's processing power and superiority over the aging, cartridge-using N64. By the end of the PlayStation's run, Crash Bandicoot sold over 6.8 million copies, making it the 9th best selling game in PlayStation history. That success would lead to two sequels, Crash Bandicoot 2: Cortex Strikes Back and Crash Bandicoot: Warped, and a kart racer, Crash Team Racing. 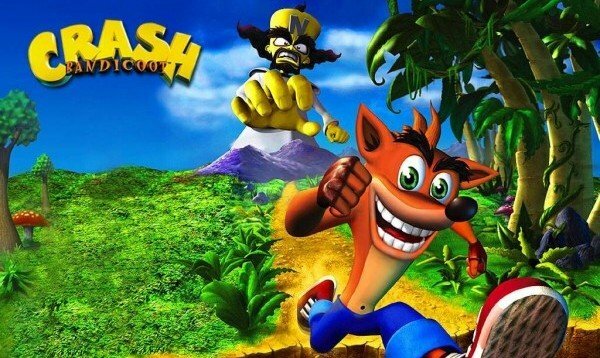 Crash Bandicoot: Warped would actually surpass the sales of the original, selling 7.18 million copies as the 6th best seller for the console. But the real testament to this game is how fun it still is. A ten year old can today can pick up the game - as my son has - and have a blast playing it as I did when it first came out. In video game terms, that is the real definition of success.